Definition at line 3316 of file CCopasiXMLParser.h. Definition at line 3319 of file CCopasiXMLParser.h. Definition at line 6495 of file CCopasiXMLParser.cpp. 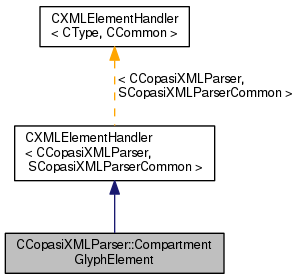 Definition at line 6500 of file CCopasiXMLParser.cpp. 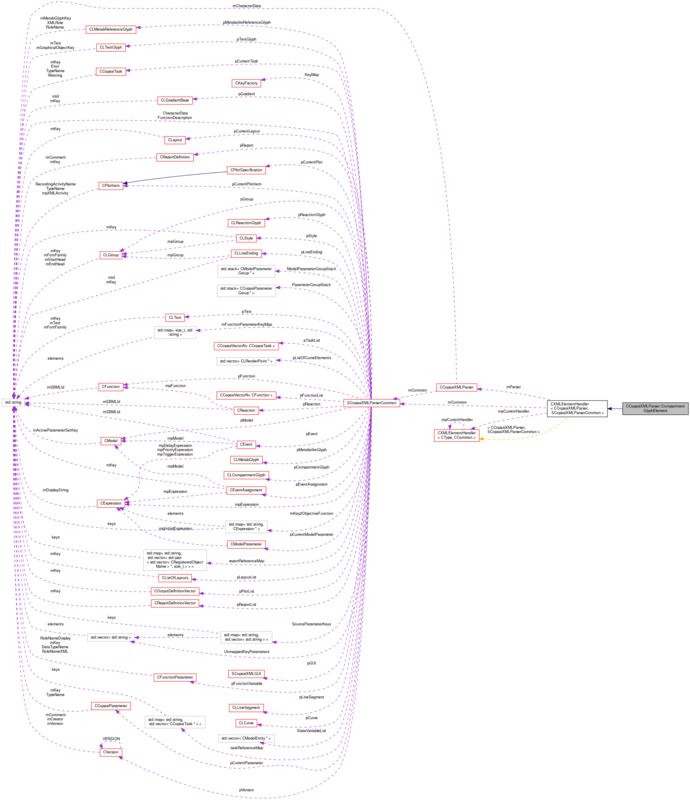 Definition at line 6605 of file CCopasiXMLParser.cpp. Definition at line 6503 of file CCopasiXMLParser.cpp. References CLayout::addCompartmentGlyph(), CCopasiMessage::EXCEPTION, CKeyFactory::get(), CModelEntity::getKey(), SCopasiXMLParserCommon::KeyMap, CCopasiXMLParser::mCommon, MCXML, CExpatTemplate< CExpat >::mParser, SCopasiXMLParserCommon::pCompartmentGlyph, SCopasiXMLParserCommon::pCurrentLayout, CLGraphicalObject::setHeight(), CLGraphicalObject::setModelObjectKey(), CLGraphicalObject::setObjectRole(), CLGraphicalObject::setWidth(), CLGraphicalObject::setX(), CLGraphicalObject::setY(), UNKNOWN_ELEMENT, and CCopasiMessage::WARNING. Definition at line 3327 of file CCopasiXMLParser.h.